When I was in New York for the first New York City Jewelry WeeK I had the chance to be interviewed by Sarah Rachel Brown for her amazing podcast Perceived Value. Our conversation is about “ Coming to Jewelry later in life” and it was a pleasure to recorded it. I hope you enjoy listening ! Here is a link about jewelry in Portugal written by Ana Campos in which I am also mentionned. 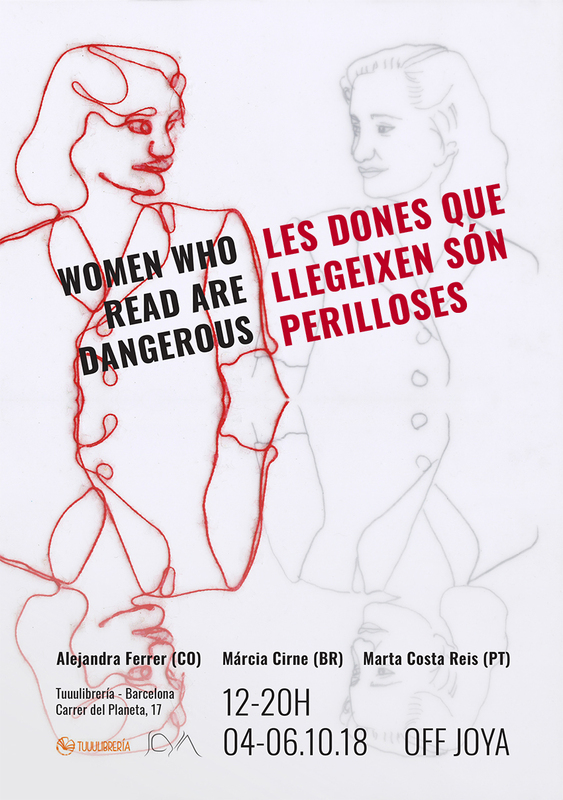 Klimt02 article about my exhibition "Women who read are dangerous"
I had the incredible opportunity to exhibit my work at TuuuLibreria in Barcelona (check it out) during JOYA BARCELONA 2018 from the 4 to the 6 October. TuuuLibreria is a non profit that gives you books ! You are asked to contribute what you want to help them pay the rent and wages but the books are essentially free… you donate what you want. 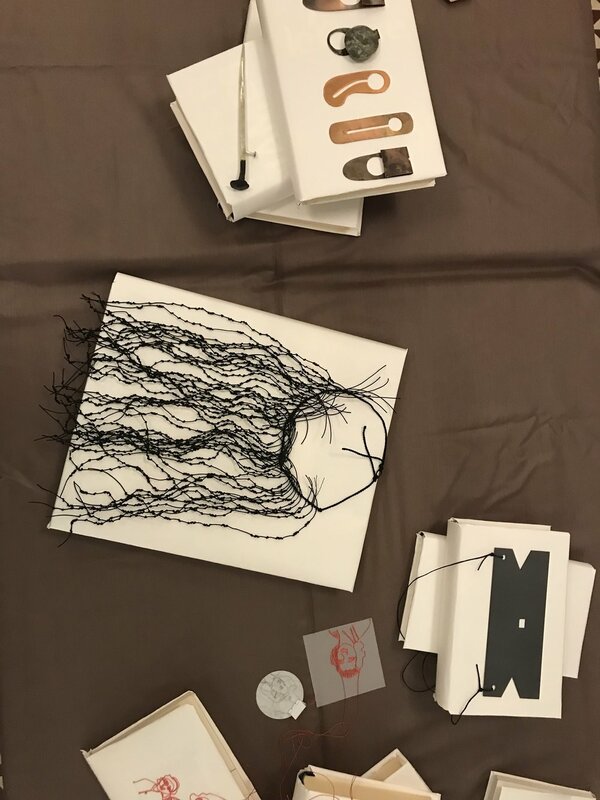 I had been working with poetry and text for a while, making necklaces with text in Morse code (“To be Human is to be in Time” collection) and when my friend and great jeweller Jordi Aparicio mentioned the place to me I knew I wanted to exhibit there. So I called Alejandra Ferrer Escobar and Marcia Cirne and we put together a really great little show (at least I think so ). Although the work I show follows the lines of what I was doing and presented at Galeria Reverso in Lisbon in July 2018, it is entirely new work, done specially for the exhibition in Barcelona. We are thankful for all those who visited and for those who bought and to Xanthi and Elena (the women in charge of the place) who were our guardian angels and super cool and interested! 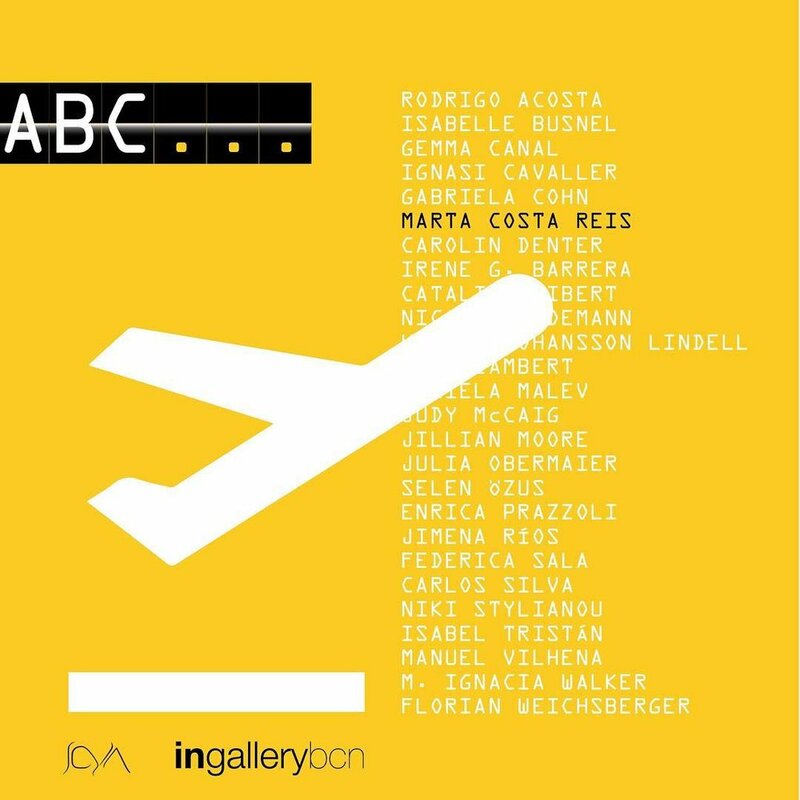 The group show ABC, shown for the first time in Valencia, will be presented again at JOYA Barcelona between 4 -7 October in the parallel events OFF JOYA. Some pieces of my Tathata collection will be there. Thank you Carlos Silva, Catalina Gibert and Isabel Tristan for organizing everything and to all the artists who participated. Melting Point is happening again this week! 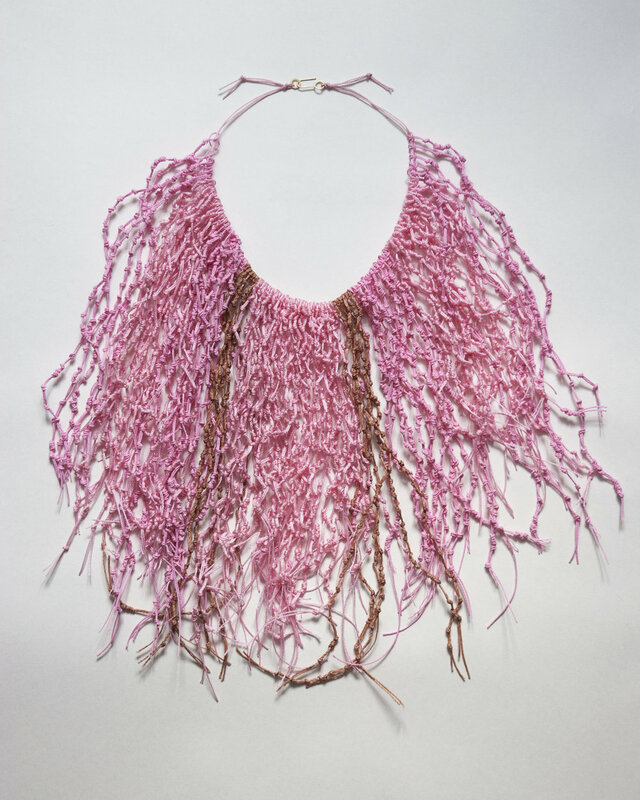 From the 26th to the 29th April Valencia hosts its Jewellery bienale. I will be showing my work with an amazing group of artists in the Museu de la Ciutat, right next to the Valencia Cathedral. 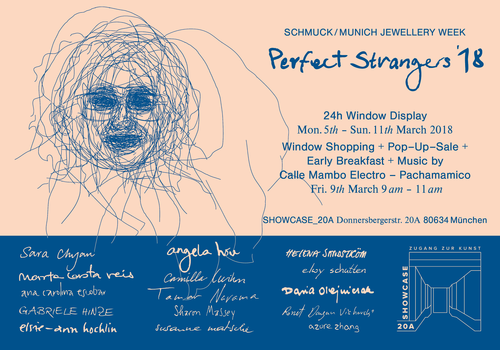 I had the opportunity to show my works at the Perfect Strangers ´18 during Munich Jewellery Week. It was a great experience, mainly due to the great team that curated it and organized everything, Laura Alvarado and Aiko Blumer and of course, the perfect strangers exhibiting their works together with me. Thank you all and thank you everyone who came to see it and took part in the events! 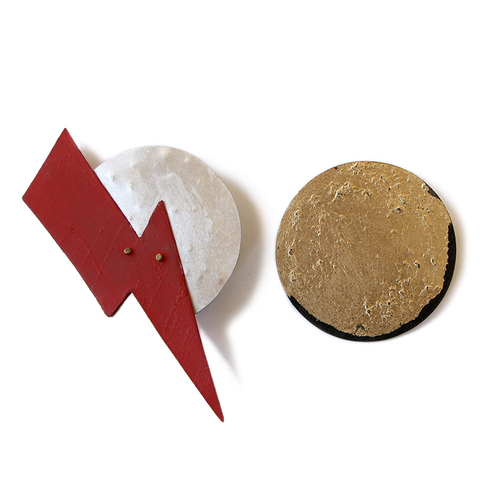 "David Bowie was the inspiration for these works. Not one song or the other but the artist and the profound changes he brought into the world with his music, aesthetics and vision. Nobody better than him could express the times we lived in and he did it for over 40 years, literally until his death. The work "Vision" is representing the golden bindu dot he used on his forehead in the early years and evoques his incredible intuition and creativity and "Major Tom" is of course an homage to the always enchanting Space Oddity and to the man himself who leads us in such a marvellous voyage." 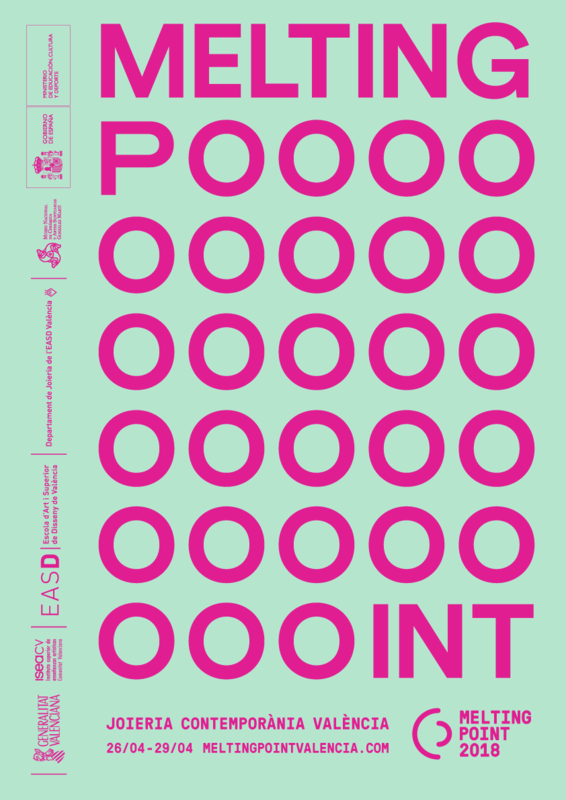 Ainda no Porto e dia 11 de Novembro, participo em mais uma exposição na novíssima Galeria Autoria. 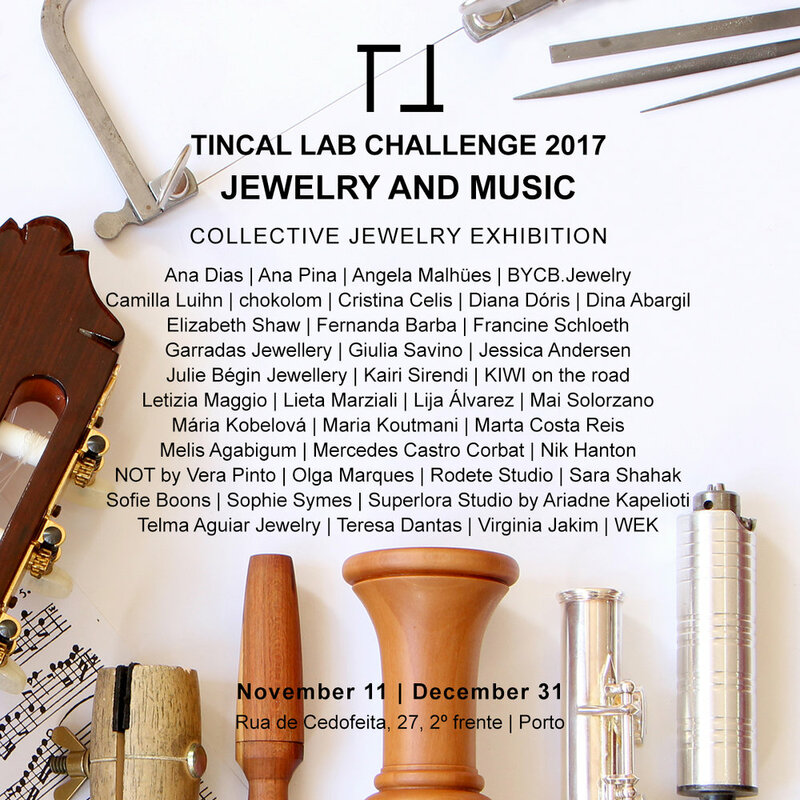 Mais uma vez participo no Tincal Lab Challenge, este ano com o tema Jewellery and Music. Se estiverem no Porto dia 11 de Novembro, passem por lá! 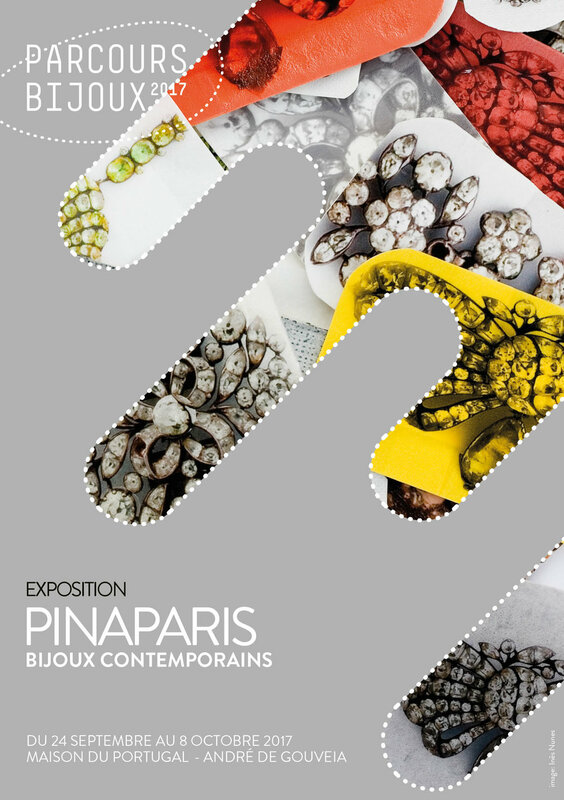 Entre 24 de Setembro e 8 de Outubro vou participar nO PARCOURS BIJOUX, em PARIS, numa exposição organizada pela PIN - Associação de Joalharia Contemporânea Portuguesa , comissariada por MONIKA BRUGGER. INAUGURAÇÃO DIA 23 às 18H! A GARAGEM - Atelier de Joalharia anuncia a realização de um workshop de coloração de metais com Maria Sais Fluviá. Vai ser no fim de semana de 15 e 16 de Setembro , em Lisboa. Because my work won an honorary mention at the AmberTrip 2017 Art Jewellery Competition, it is on show at the Legnica Silver Festival. Please check it out if you are around! Here the official text and the link . "Amber Trip" is the largest specialized international jewellery show in the Baltic states. This is an event that found a unique place in the cultural map of the world. 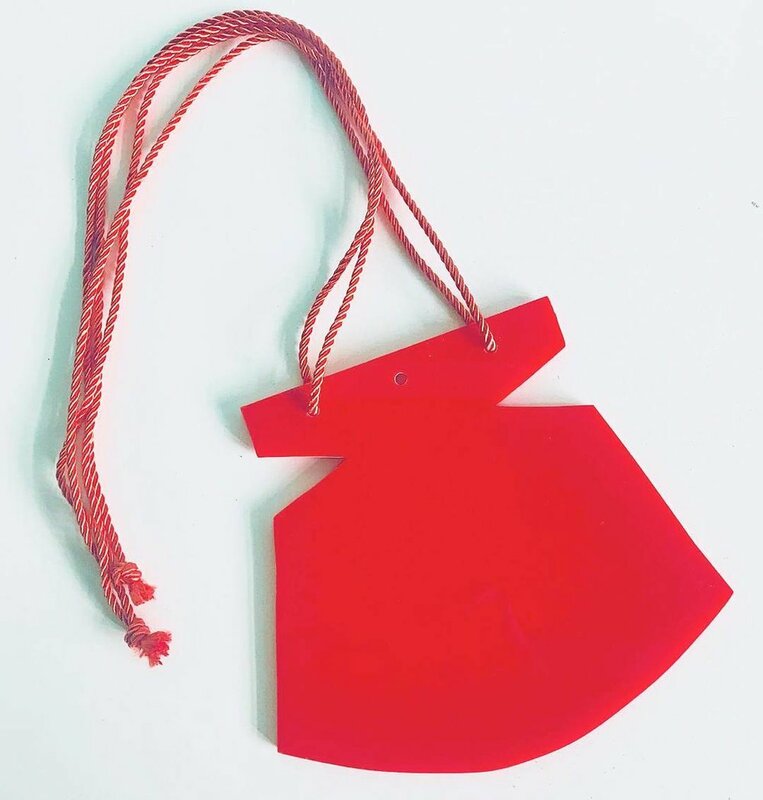 This international exhibition is counting its second decade and brings together hundreds of jewellery companies and designers from around the world to the capital of Lithuania. The 14th International Jewellery and Amber Show "Amber Trip 2017" took place on March 8–11 and – as usual – was accompanied by Art Jewellery Competition, this year held under the title “Still Life.” This exhibition presents works submitted for the Competition. Nature morte or still life, a genre commonly associated with painting, has been present in art from the earliest times. Contemporary artists still explore the topic with all its symbolic tradition as well as new connotations in different media. We asked jewellers and artists to explore this topic in jewellery form. There are very few works of contemporary art jewellery associated with nature morte. It may mean that such a subject is not an easy one for makers but it certainly is an interesting and inspiring one. Equally, amber, the recommended material (though not obligatory) fits well into the topic as it is itself often contains the fossilized remains of ancient life – and could be called a natural nature morte. 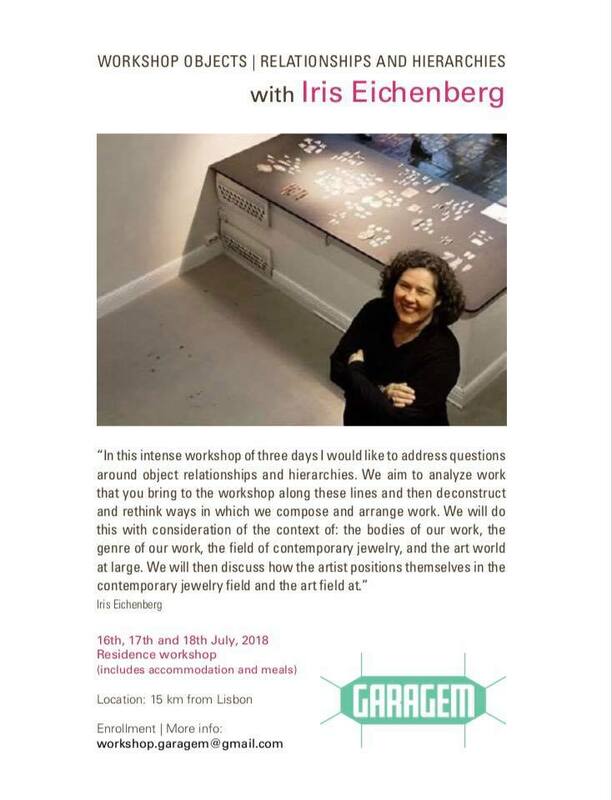 A GARAGEM - Atelier de Joalharia anuncia a realização de um workshop de electroforming com Gaston Rois, joalheiro e professor. Vai ser no fim de semana de 3 e 4 de Junho , em Lisboa.